Katherine is a Senior Associate in the Private Client Services Group. 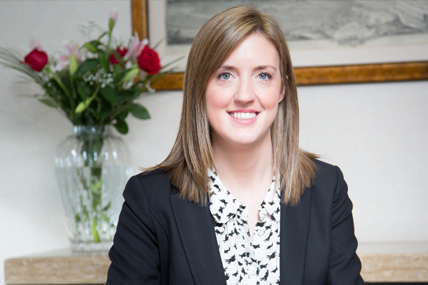 Working with the head of the Private Client Services Group, Katherine advises on wills, powers of attorney, charities and on the administration of estates. Prior to embarking on a career in Law, Katherine undertook a degree in Psychology, before successfully completing the Graduate Diploma in Law. Katherine trained at the firm. Katherine regularly advises clients on the preparation of their wills, succession planning and administration of estates. Katherine was Membership Secretary of the Nottinghamshire Junior Lawyers Division for three years before becoming Chair in 2014. She also sits on the Nottinghamshire Law Society Private Client Committee. Katherine has given presentations on Lasting Powers of Attorney at the Nottinghamshire Law Society Annual Elderly Persons Conference. Away from work, Katherine enjoys pilates, visiting the cinema and travelling whenever possible.